Along the same lines as the Apple Streusel Walnut Multigrain Oatmeal, this convenient breakfast cup looks like any other run-of-the-mill oatmeal once you remove the lid and prepare it with hot liquid. I almost always use milk, or some mixture of water and milk, and this product was no exception. I had actual cow's milk on hand this time, and it worked pretty well. And like I said, it looks just like ordinary oatmeal. But it certainly doesn't taste that way. It tastes surprisingly like good-quality, spicy, milky, creamy chai tea. When one considers the thickness of the oatmeal made with milk, I suppose it's more like a hot chai latte than just regular tea. But it actually does taste like that. 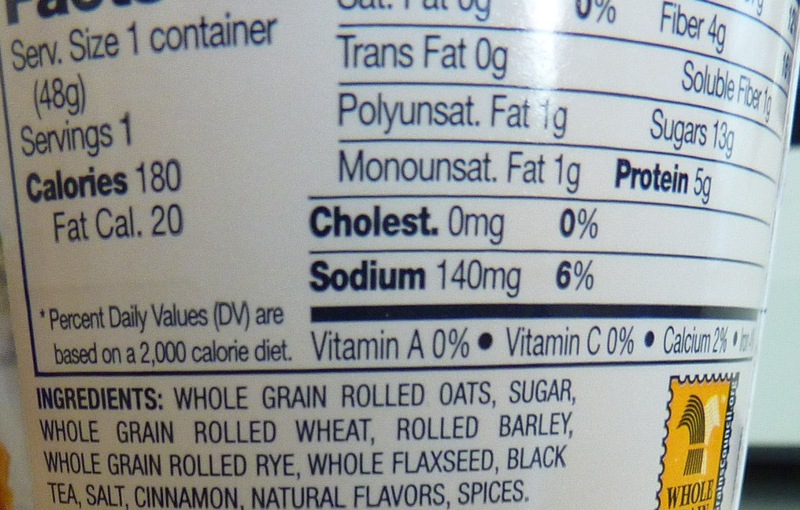 The barley, rye, and flaxseed add a little to the flavor, of course, too, but the dominant taste was most definitely that of the black tea and its accompanying spices. 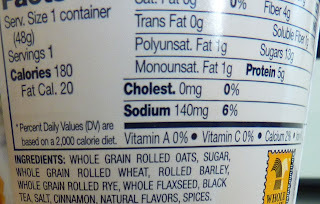 The diverse grains create a nice hearty texture, and it blends together in a really pleasant way. 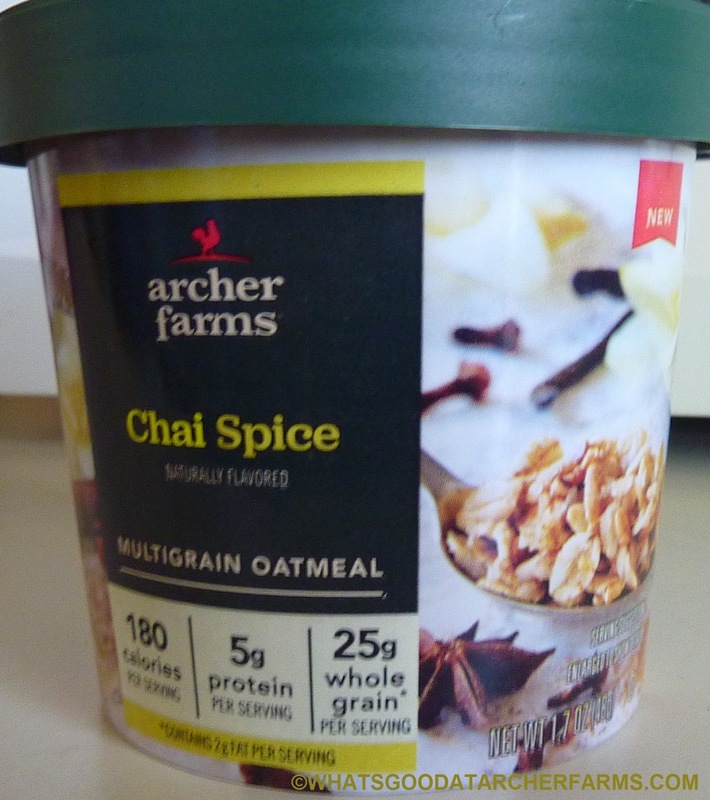 I really didn't expect chai-flavored oatmeal to work at all. I thought this product would be a total bust. But I think this product is worthy of 8 out of 10 stars.